New homeowners — including all who purchased their primary residence after Aug. 1, 2015 — must register for STAR with New York State instead of applying with their assessor. Property owners who bought their home before May 1, 2014, will continue to receive the STAR exemption and don’t need to take any action. The Department of Finance says new applicants are eligible for the STAR credit rather than the STAR property tax exemption, which they may have received for previously owned properties. http://ow.ly/ZeIS301LCH8 Homeowners will receive a STAR check instead of an exemption on their school property tax bill. The eligibility rules are the same. The Vanderbilt at South Beach opens its doors to the general public every Wednesday this Summer from June 29 through August 31, inviting guests to enjoy affordable waterfront dining in the Grand Ballroom.The prix-­fixe dinner is $29.95 per adult,$14.95 for children under 10, excluding tax and gratuity. *In support of Give­-Back Wednesdays, The Vanderbilt will donate a portion of the evening’s proceeds to that week’s featured non-­profits. What a crazy few weeks its been. I’m finally ready to show off my summer sandals, well at least one of them! You can’t keep the old mare down for long. This has been an outstanding week, highlighted by front row seats at the Ringo Starr concert at the lovely St. George theater on Wednesday evening. I must apologize to my fellow Staten Islanders though. It seems I held up traffic exiting the garage for almost an hour while waiting outside for Frank to bring the car. While it was wonderful to see so many familiar faces and receive your warm wishes, next time I will lurk in the shadows while I wait for my ride…lol. So where did my shoe bring me? Where do I begin… I had the absolute pleasure of enjoying my husband Frank receive a “Thank You For Your Service” award from the Staten Island Museum. I’m so proud of all the work he does for them. I attended the AREAA Convention, which is the Asian Real Estate Association of America, as well as a CIPS class, which will allow me to help my clients buy and sell foreign properties. How do I find time to do Real Estate? Well I do! I delivered the news, and an updated sign, to a homeowner whose property went into contract, and went on several showing and listing appointments. We are doing a big push on Social Media, so if you haven’t connected with my business page on Facebook, please do it now by clicking here: BHGRE Safari Realty. And don’t forget to follow me on Twitter: @SafariRealtySI. I am always posting interesting links about all things Staten Island, as well as new company listings, Staff additions, price improvements and so much more. 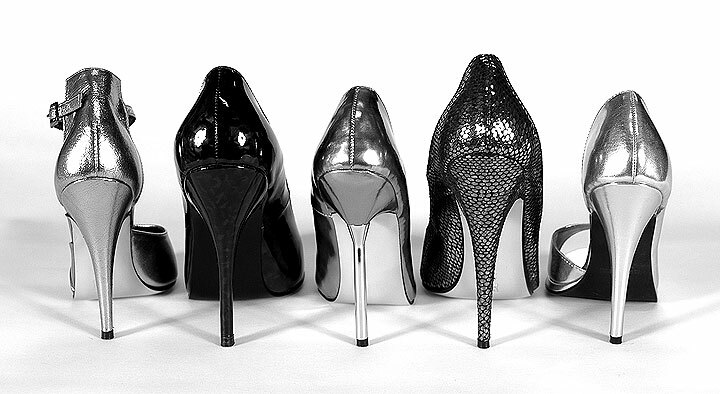 See you all online, and remember, Its Always a Woman’s Right to Shoes, even when its just one! What a month! I know you’ve all missed me terribly, and while my shoe has been taking me far and wide, I’ve only been able to wear one of them! Those of you that have seen me making my way around our beautiful Island know that I’ve been wearing the most fashionable of medical boots, and I’m missing my summer sandals and heels terribly. Just a bit longer friends, and I’ll be back. In the meantime, allow me to share this lovely memory of my beloved shoe collection. This photo was taken four years ago. Please check back soon, and remember, its always a woman’s right to shoes!